Der kurdische Journalist Mohammad Sediq Kaboudvand, Ehrenmitglied des Österreichischen PEN, ist frei! Der Österreichische PEN Club freut sich mit dem kurdischen Journalisten Muhammad Seddigh Kaboudvand über dessen Freilassung am 12. Mai 2017 nach einer zehnjährigen Haftstrafe im Evin Gefängnis (Iran). Er war der Herausgeber der verbotenen wöchentlichen Zeitung Payam-e mardom-e Kurdistan und Vorsitzender der kurdischen Menschenrechtsorganisation RMMK mit Sitz in Teheran. Muhammad Seddigh Kaboudvand dokumentierte und publizierte Berichte zu Menschenrechtsverletzungen in kurdischen Regionen des Iran, sein Mut für die Menschenrechte einzutreten und die iranische Regierung zur Verantwortung zu ziehen, führten 2007 zu seiner Inhaftierung. Das WiP-Committe und der Österreichische PEN Club nehmen die Nachricht seiner Freilassung mit großer Erleichterung entgegen! PEN Centres are encouraged to consider adopting Mohammad Sadiq Kabudvand as an Honorary Member. ***Please check with the PEN International office if sending appeals after 7 July 2016*** Please keep us informed of any action you take in regard to Mohammad Sadiq Kabudvand’s case, including any responses you receive from the authorities. According to recent reports, Kabudvand embarked upon a hunger strike on 8 May 2016 in protest against his continued imprisonment and the threat that fresh charges might be brought against him. Reports indicate that Kabudvand was summoned for interrogation three times in March 2016 in connection with investigations into whether he has been ‘spreading propaganda against the system’. On 24 May 2016, Kabudvand appeared before a revolutionary court in Tehran in relation to the allegations. No formal charges have been brought against him at this time. Thirteen days into his hunger strike, Kabudvand was taken to hospital and placed in intensive care, having lost consciousness. Three days later, he was transferred to another hospital. Kabudvand’s health is reported to have seriously deteriorated, his pre-existing conditions aggravated by this latest hunger strike. The doctors are reported to have prioritised treating his stomach. PEN is deeply concerned by reports that Kabudvand was returned to prison on 5 June 2016 and is seeking assurances that Kabudvand is receiving appropriate medical care. Mohammad Sadiq Kabudvand suffers from a number of health complaints, including high blood pressure, kidney disease and an enlarged prostate, and his health is said to have deteriorated as a result of torture or other ill-treatment in prison, as well as previous hunger strikes. On 19 May 2008 Kabudvand reportedly suffered a stroke in Evin prison, after which he was denied access to adequate medical care. He is said to have suffered from a second stroke in December 2008. In December 2010 he was said to be in a critical condition and to be denied the specialist medical treatment he needed. In June 2011, Kabudvand was seen by an independent doctor who reportedly stated that he needed to undergo two operations for hardening of the heart arteries and an enlarged prostate. In July 2012, he ended a 59-day hunger strike, after he was granted the right to visit his sick son. Kabudvand is an Honorary Member of Austrian PEN, PEN Català, Swedish PEN and Sydney PEN. In 2008, he was one of PEN’s emblematic cases for the Day of the Imprisoned Writer. He is the recipient of a Hellman/Hammett grant (2009) and the British Press Award for international journalist of the year (2009). Kabudvand has previously been targeted by the authorities for his critical writings and activism. The weekly newspaper which he edited, Payam-e mardom-e Kurdestan (Kurdistan People’s Message), published in Kurdish and Farsi, was banned on 27 June 2004 after just 13 issues for ‘disseminating separatist ideas and publishing false reports’. 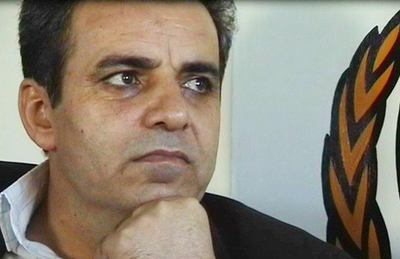 On 18 August 2005 Kabudvand was convicted of ‘disseminating tribal issues and publishing provocative articles’ and ‘spreading lies with the intention of upsetting public opinion’ by a revolutionary court in Sanandaj and handed down an 18-month suspended sentence and a five-year ban on working as a journalist. Mohammad Sadiq Kabudvand has reportedly written two books on democracy and a third on the women’s movement in Iran, which were not given publishing licenses.